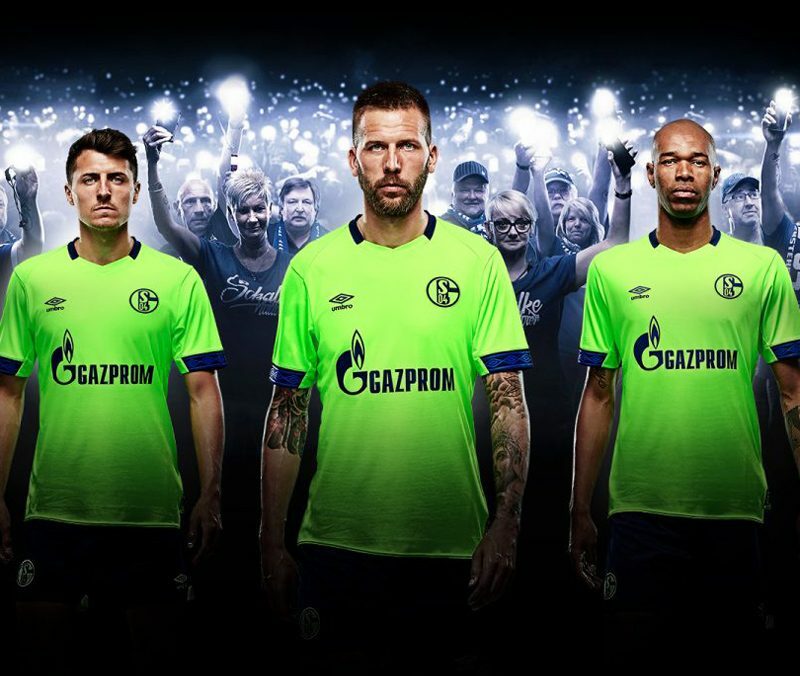 The Schalke 2018-2019 Umbro third kit is definitely the most-eye-catching and experimental of the bunch. 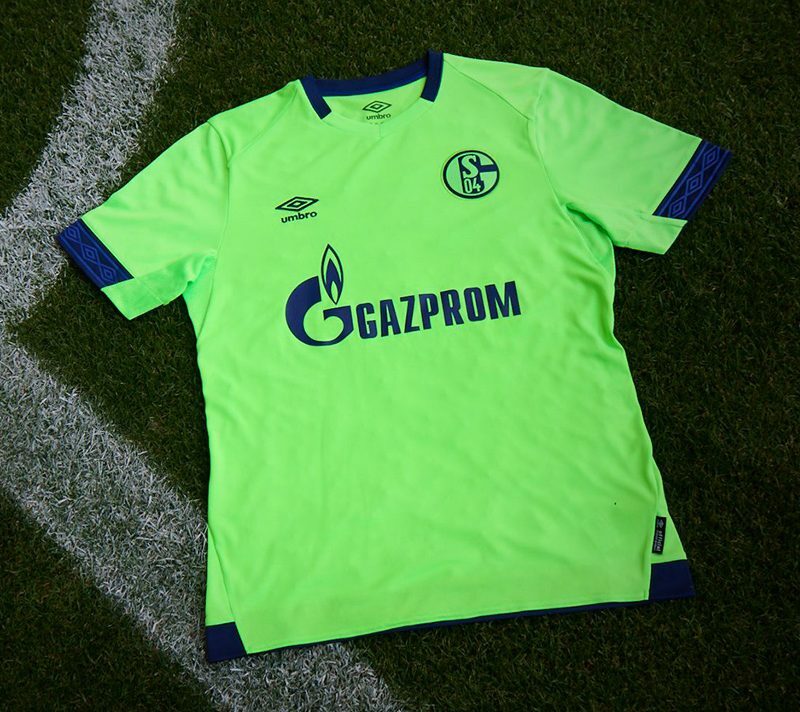 It’s lime green with black logos, including a monochrome rendition of the club crest, all while being based on the same template as the away. 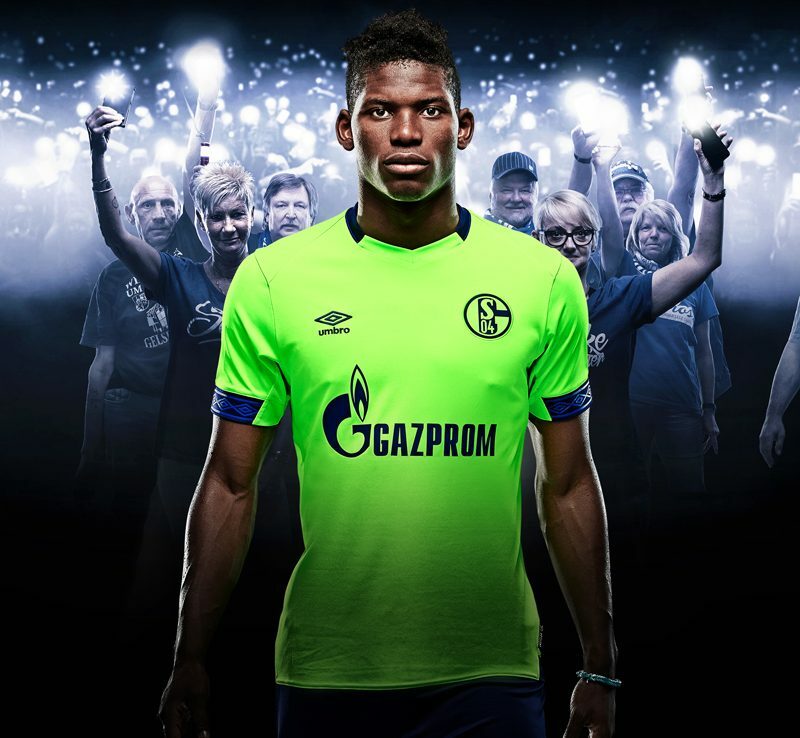 The shorts of the Umbro Schalke 18-19 third kit are black with green logos, the socks are green and black.